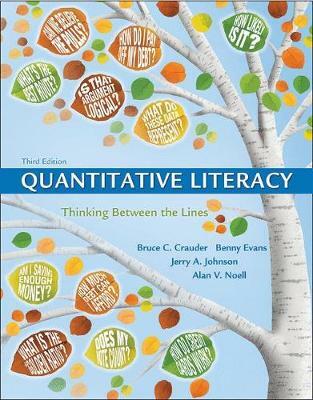 Quantitative Literacy fully prepares students to be informed consumers of quantitative information with coverage that neatly balances discussions of ideas with computational practice. Through a wide range of examples and applications, the authors show students that they use math in their everyday lives more than they realize, and that learning math takes palce in real-world contexts. Students develop the critical thinking and problem solving skills to make intelligent decisions about regarding money, voting and politics, health issues, and much more.